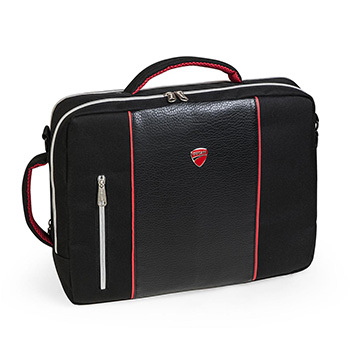 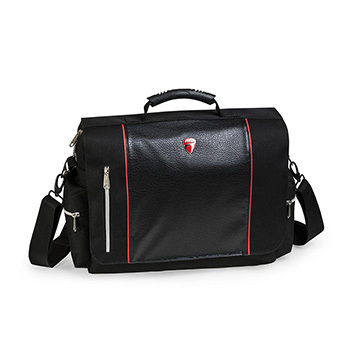 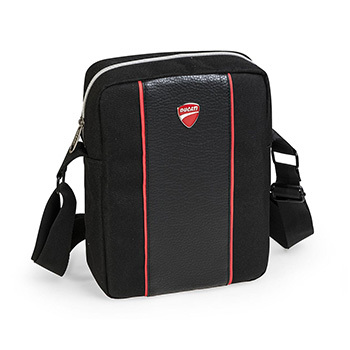 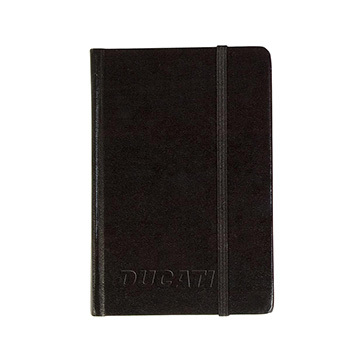 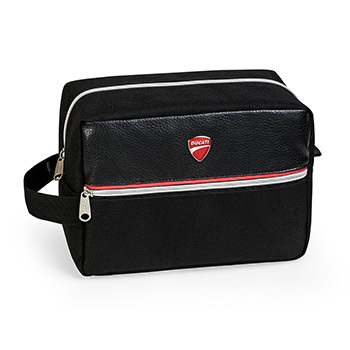 Ducati by Busquets is a collection for men of bags, gifts and stationery that is decorated with leather fabric and black polyester waterproof. 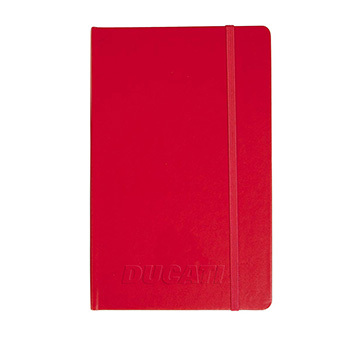 Red stripes matching the brand logo. 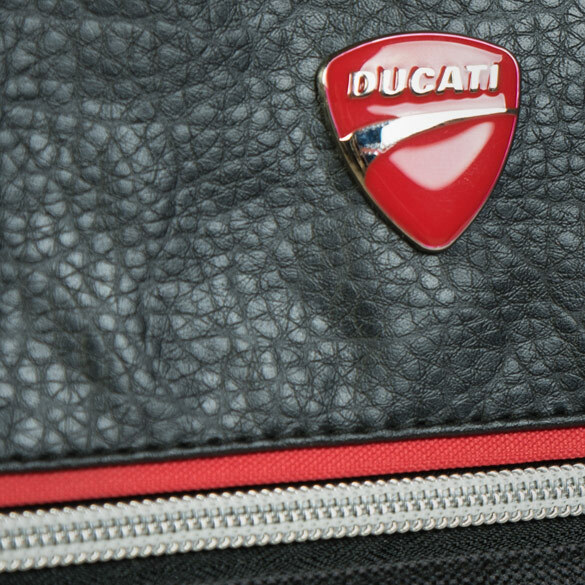 Transfer plastic in the center with the Ducati shield. 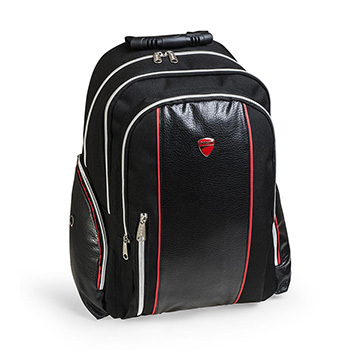 The zippers are silver and the handles are personalized. 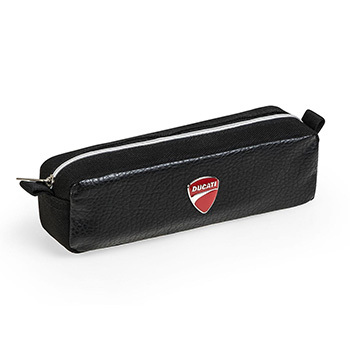 Adjustable strap and black ribbons.